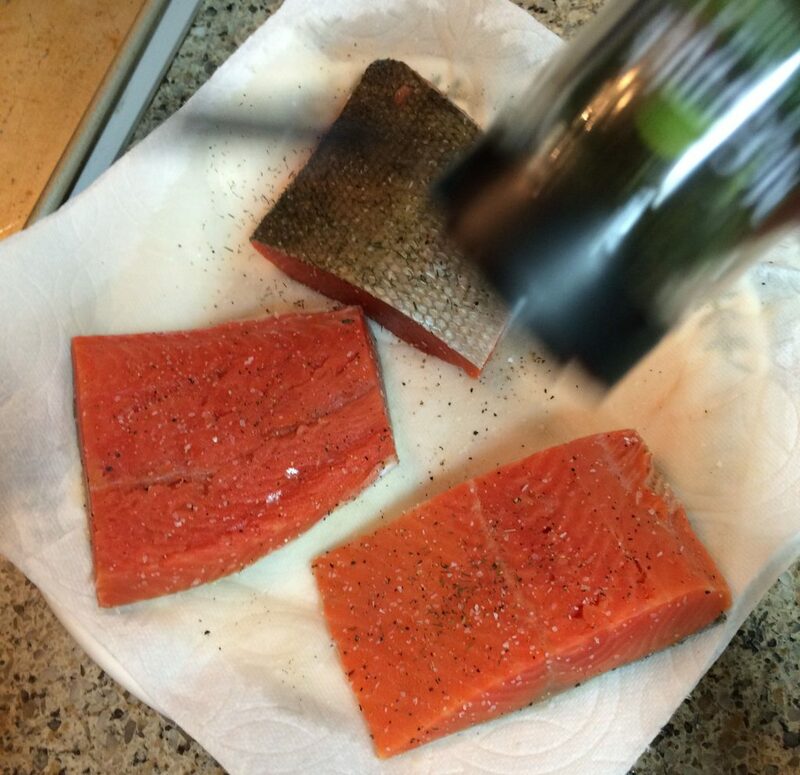 Place salmon on a plate lined with a paper towel, sprinkle salt, pepper, and dill weed on salmon. 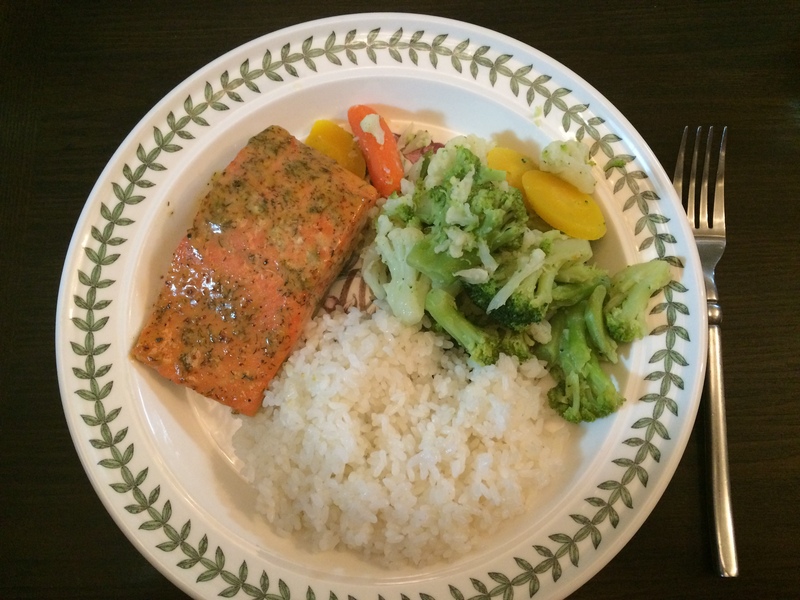 Read the article about preparing different types of salmon and fish. 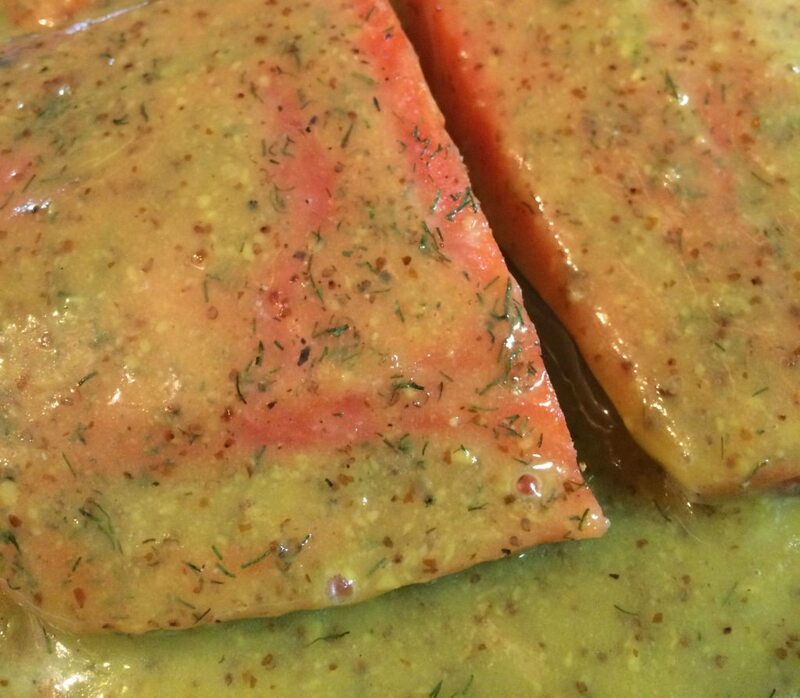 Sprinkle dill weed on the top and bottom of the salmon. 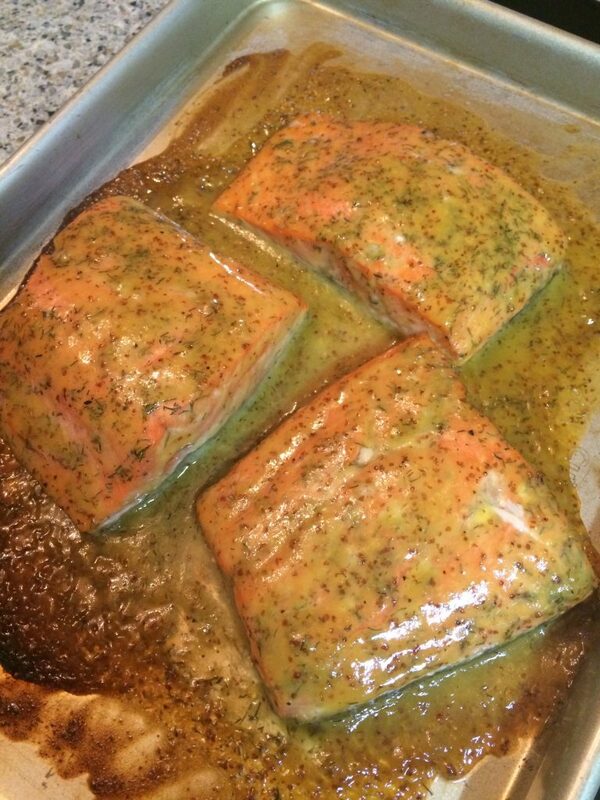 Place salmon on baking sheet, and coat with honey mustard sauce on top and bottom of salmon. Cook in oven at 400F degrees for about 15 minutes or until internal temperature reaches 123F degrees for sockeye or 130F degrees for Atlantic salmon. 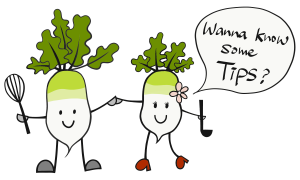 Remove from oven, plate and serve with your favorite vegetables. 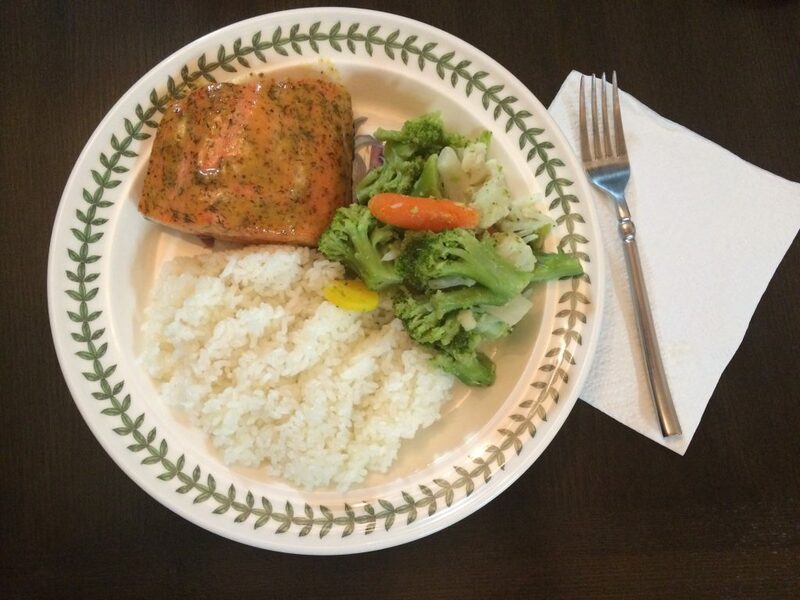 Ingredients are important when making this recipe for honey mustard salmon. 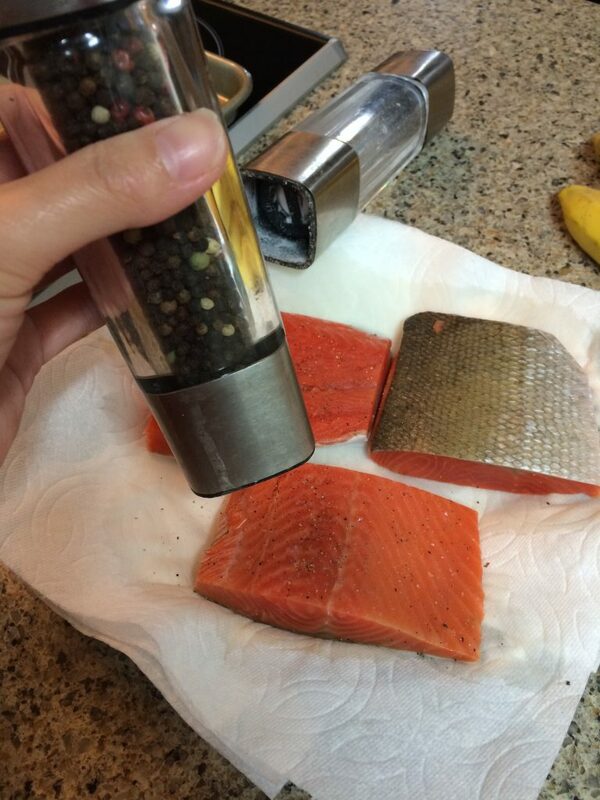 If you use the best ingredients then your resulting honey mustard salmon will turn out for the best. Although most recipes for honey mustard sauce do not call for lemon juice, I add it to aid in preserving the sauce. Also when you store the sauce to use another day, store it in an air tight container.